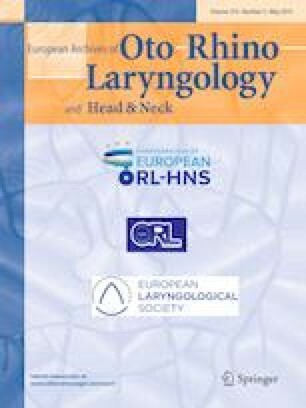 The surgical treatment of otosclerosis can be challenging in case of anatomical abnormalities or variations of the oval window niche (OWN) area, as in very narrow OWN or in an overhanging facial nerve. The aim of the present study was to explore the role of endoscopic stapes surgery in cases with difficult OWN anatomy. Patients undergoing endoscopic stapes surgery from 2008 to 2017, which fulfilled the CT scan criteria for a “difficult” anatomical condition, according to the measurements and cut-off values defined in the literature, were retrospectively selected. The intraoperative endoscopic view of the anatomical details and surgical difficulties were analysed through the review of the operative videos. Finally, a statistical analysis of the relationship between endoscopic visualization of anatomical details and radiological measurements was carried out. Eighteen out of 205 patients (8.7%) were included in the study. The 94.4% of patients obtained an optimal endoscopic exposure and visualization of all the anatomical details considered in the study, during each step of stapes surgery. The OWN measurements (width, depth and facial–promontory angle) did not affect significantly the endoscopic surgical exposure of the footplate or any of the other anatomical details. The anatomic features of the oval window area which reduce the visualization in microscopic surgery, did not affect the surgical exposure in endoscopic stapes surgery. Patients having a difficult anatomy of the OWN can be treated safely with the endoscopic approach. In the case of a predicted “difficult anatomy”, the endoscopic approach can be considered a viable option. All the authors approved the manuscript. The authors have no financial disclosures or conflict of interest.